By now, anyone who goes to a Pixar movie should know exactly what to expect from the animation studio. Each film will introduce its impossibly lovable main characters and then cruelly drag them down to the depths of hopelessness and despair before giving them a redemptive happy ending, followed by an upbeat closing credits sequence. A whimsical Randy Newman song is optional. It’s clearly a formula that works. But what if Pixar began tampering with the recipe? What if they cut right from the “hopelessness and despair” part right to the upbeat closing credits, bypassing the happy ending entirely? That’s the nightmare scenario explored by “If Pixar Movies Ended At The Sad Parts,” a humorous new video by YouTuber Chris Huebs. This is Pixar minus the uplift. Huebs’ two-minute montages include drastically abbreviated versions of Inside Out, Finding Nemo, Toy Story 2, and Monsters, Inc. Had the movies actually been released in this condition, multiple generations of children would have been traumatized, and even some of their parents would have been driven into therapy. The upbeat closing theme songs remain, but somehow that only makes the experience more devastating. There is no time even to grieve here. Viewers are expected to process the tragedy of these events instantaneously and then make their way toward the exit in a calm and orderly fashion. 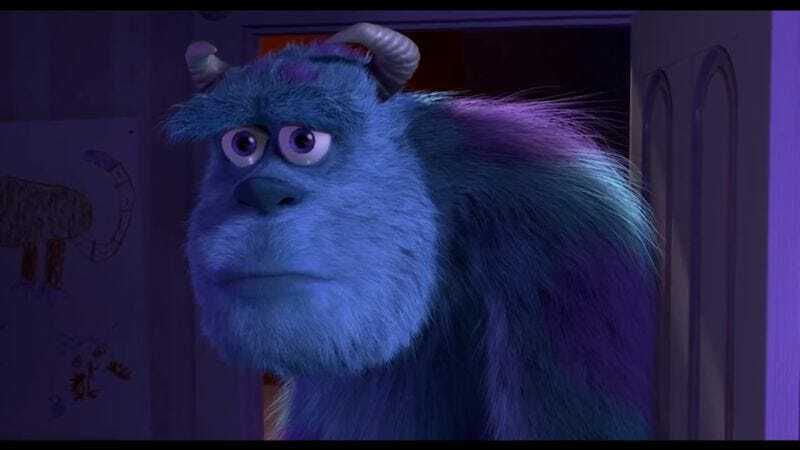 In one typical moment, a heartbroken Mike and Sulley watch as the door to Boo’s room is ground into sawdust. Smash cut to the jazzy closing credits, which seem to say, “Sorry, kids. These things happen. Try to have a nice life anyway.” And just try to imagine if Toy Story 2 had ended with that heartrending anthem of abandonment, “When She Loved Me.” Yeah, wouldn’t that have been a fun ride home from the theater, with exasperated parents trying to console their inconsolable children? Please don’t go this route, Pixar.